July 22nd, 2009 our lives were flipped upside down when my husband and I heard the words “I’m sorry, we found cancer.” I was diagnosed with follicular lymphoma in my abdomen, liver, chest and bone marrow. Jane Kirk and Dr. Bierman came to my room and mapped out my treatment plan and helped me feel like we were going beat this. We were very scared. Scared of what exactly what would happen next. Scared to tell the kids, scared of chemo, scared of sickness, baldness, being treated differently, and I was scared that I might die. It was just a scary time. We never asked “what next?” Instead we asked “what can we do to get rid of cancer?” And we fought. My first round of chemo was August 4th and my hair began to fall out 12 days later. My kids went with me to buzz my hair off. I had spent most of that morning, pre-buzz job, crying and blogging because I knew I couldn’t upset them by bawling my eyes out in front of them. I was really sad about losing my cute hair. Looking back, I now know it was much deeper than just “my hair”. Being bald was the first physical confirmation that I was indeed sick with cancer and that scared me…a lot. But we made it through that day and, as it turns out…my head is perfectly round! So being bald wasn’t quite as bad as I had feared. I had six rounds of chemo and only got sick two of those times. I had it better than some. My co-workers had been affected by two of us having cancer at the same time. Me and Katie. They raised money for our families…and Relay For Life too! They rock! At my last treatment, in November, the doctor told me the cancer would never be gone. To say I was shocked is a huge understatement. I thought remission meant cure. I was wrong. It means a chronic illness that isn’t making you sick. Upon hearing that piece of news…I went into a funk. I was depressed, mad, sad and angry. For the first time since my diagnosis I thought “why me?” I felt sorry for myself. I didn’t want to get out of bed. I didn’t want to do anything. December 9th, a CT scan and doc appointment day, I was still in the funk. Not talking or smiling. Just being there was hard. Kevin and a stranger across the waiting room stuck up a conversation when I went to the bathroom. Kevin doesn’t typically talk to random strangers. His wife was having a PET scan. Their news was not good news. Her cancer wasn’t in remission. They were both about my age. They had kids at home and they were going home to tell them that she was going to die. I don’t even know how that conversation would go. I thought about it, just in case, but to speak it…I just don’t know how. Even though I don’t know their names, I think of them often. My heart aches for them. Later in the same day my doctor told me I was in remission. It took me hearing their story to begin realizing how blessed I am. How blessed my family is. They are why I Relay. Katie is why I Relay. I am why I Relay. And my mom is why Relay. She was diagnosed with extensive, small cell lung cancer January 30, 2012. The American Cancer Society has provided my family with multiple resources; books for my kids about chemo and cookbooks for eating during treatment. I am the coordinator for Daffodils Days at my organization and this is the third year I will Relay. When I called the American Cancer Society they provided me with pdf files that I could share with my employer and family regarding my chemo. They sent me information for my mom. I am a Survivor! I am a Warrior. And now, I am a Caretaker. The ACS office in Omaha sent my mother a beautiful card and a Survivor t-shirt. She was moved to tears by the thoughtfulness. She hadn’t thought of herself as a Survivor. She does now. She is halfway through chemo and still has a month of radiation after that. I am grateful for the ACS team in Omaha. They have provided me support and guidance through each of my roles in cancer. In closing here is a letter to cancer. I wanted to let you know what you have left behind in the crazy rant you ran thru my life in the last year. You took my health, energy and strength and you left me feeling weak and shaky. I would sleep for hours on end. I didn’t know I could feel so bad. You took my hair and I couldn’t pretend I wasn’t sick anymore. But when it first started falling out, I knew it was true. When I looked like Sinead O’Connor and then later Mr. Clean’s little sister, I really couldn’t deny it, you were part of my life now. You scared me. I thought having a diagnosis of cancer meant I was going to die. I didn’t know what to expect from treatment. I didn’t know if it would work. I was really mad that you scared my kids! 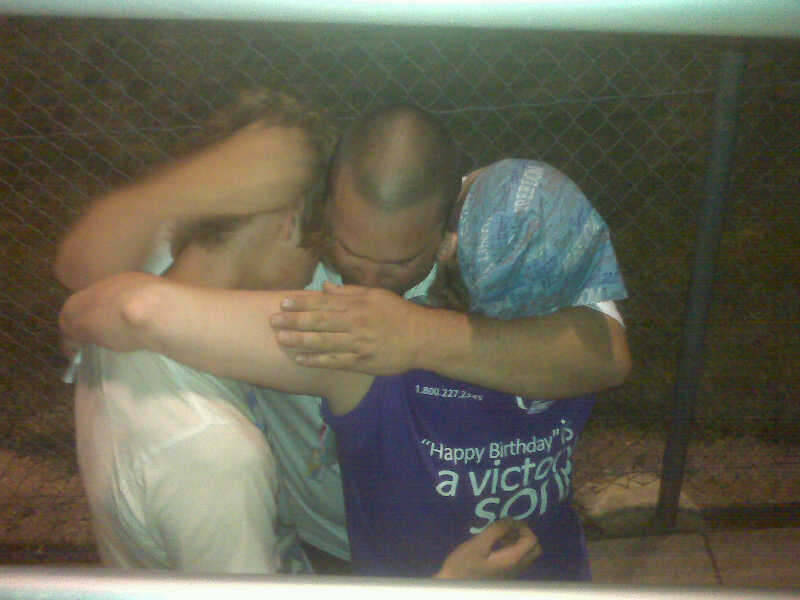 They were terrified and I felt so ill that it was hard for me to comfort and console them, as a mother should do. You’ve also left behind a stronger person and family. Daulton, Ryan, Hannah and Grace will always remember what cancer did to us. It has taught them to not fear cancer or people that have cancer. They will always raise money and awareness for cancer. They are loving and supportive of others impacted by this disease. Others should form a team or donate at Relay For Life because without them, we lose the fight. Cancer is not a death sentence and we need people to constantly be aware of it, keep talking about it, and keep raising money towards a cure! The energy, the healing energy at Relay is amazing. It lifts my spirits, it humbles me, it reminds me of those we have lost. It moves me. 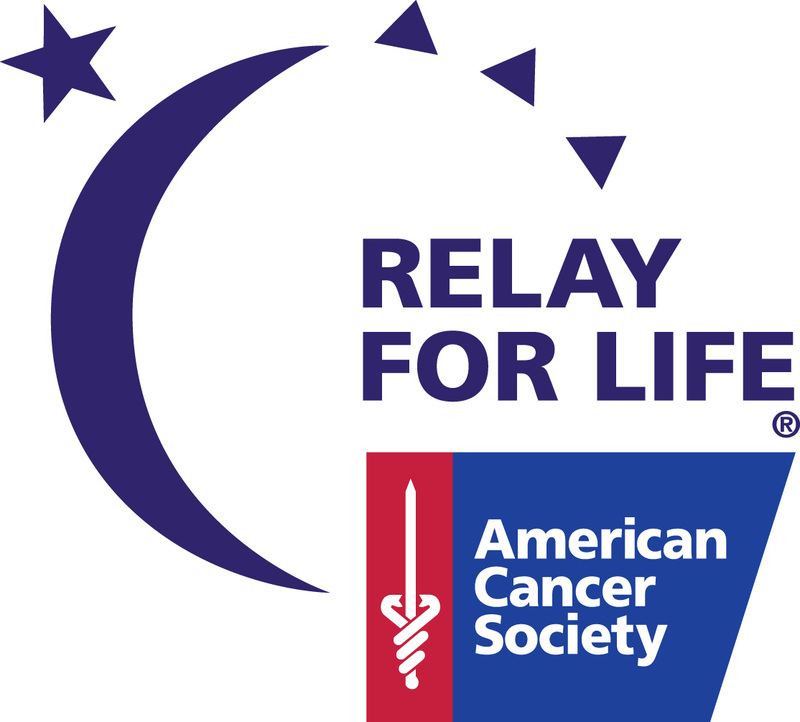 Carrie Jensen will be fighting back with her team at the American Cancer Society Relay For Life of Cass County on June 23 at Plattsmouth High School. Other events in the Omaha area include the Relay of Sarpy County on June 1 at Papillion-LaVista South High School, the Relay of Midtown Omaha on June 2 at Norris Middle School and the Relay of Douglas County on June 9 at Elkhorn South High School. 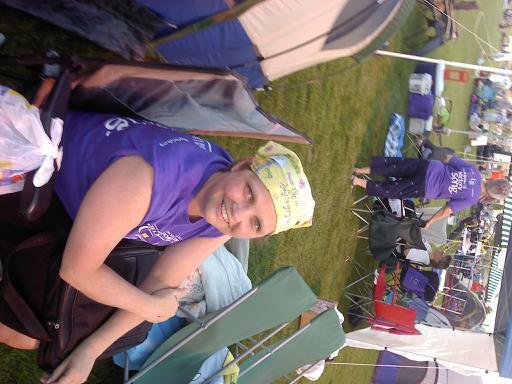 Log on to www.RelayForLife.org to find out more information or to find a Relay close to you. You may also call 1-800-227-2345 for more information.